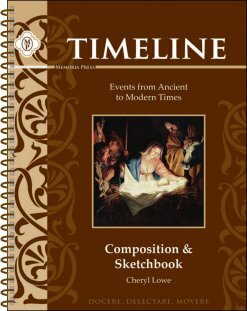 Composition and Sketchbook: This book will be completed over the four-year period in which this timeline is completed. Each event has a 2-page spread with a picture frame for illustrating the event on one side, and a page of blank lines for writing a summary of the event on the other. 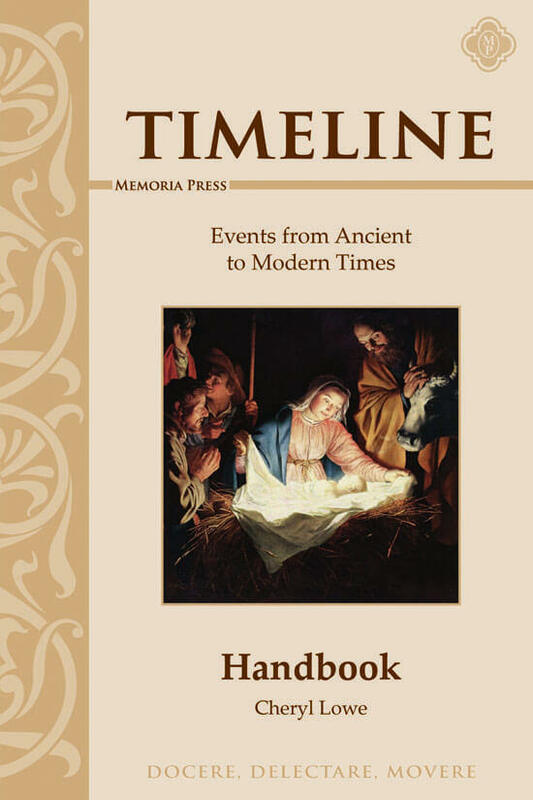 Timeline Handbook: The Timeline Handbook includes teaching guidelines, charts of the dates studied by grade and by time period, and summaries of each event to help students complete their Composition & Sketchbook. Student Flashcards: Each student should have his/her own set of flashcards for drill and practice. One side has the date and the reverse side has the event. These cards are color-coded identically to the Timeline Wall Cards. 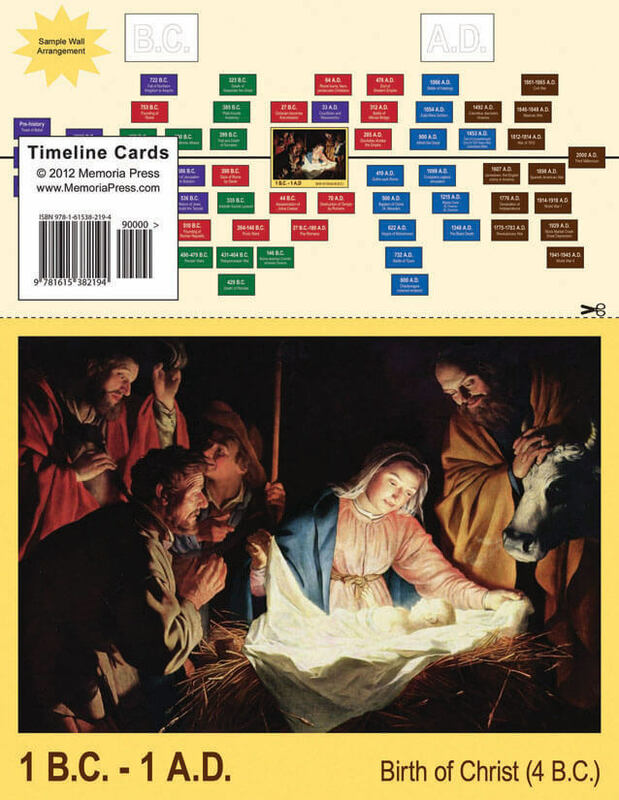 Wall Cards: Cards for the wall timeline have the date and event on the same side. 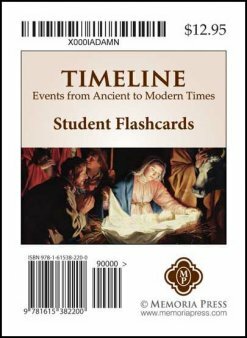 Cards are added throughout the year as students study history in Classical/Christian Studies and American Studies. The wall timeline should be in a prominent place in the classroom throughout the year, beginning in grade 3. 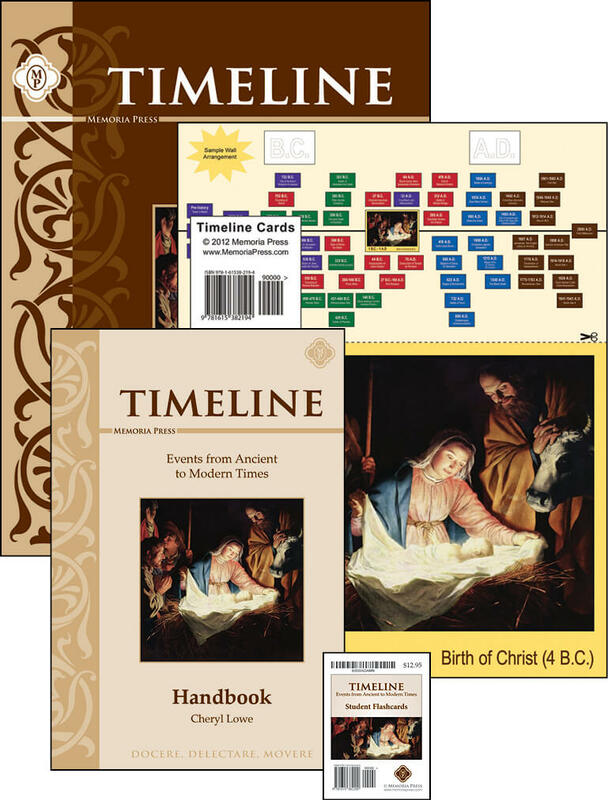 I have used other timeline programs in the past and this one is hands down THE BEST! Excellent quality, will last for years to come. Wonderful resource to have whether or not you use with MP curriculum or some other curriculum…all though MP is the best company other there! 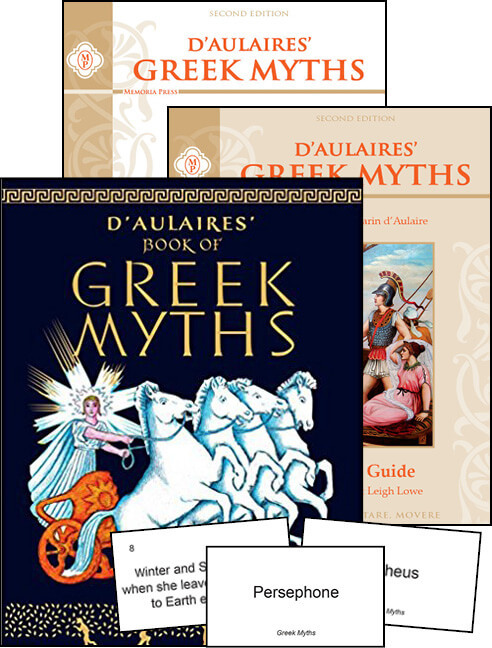 This essential resource builds a frame of reference for studying history and cultures. Each of the events becomes an anchor that helps to connect historical facts that have been learned in the past and will be learned in the future. I liked the idea of this Timeline set however we dont have the space to put this up.